It seems a little $5 indie game has caught the staff by storm in Skyward Collapse as almost half of the staff is checking it out. There's been a ton of other smaller titles out lately as well and it seems they are filling the late spring void for everyone. Cheap, fun games? Yeah - sign us up. 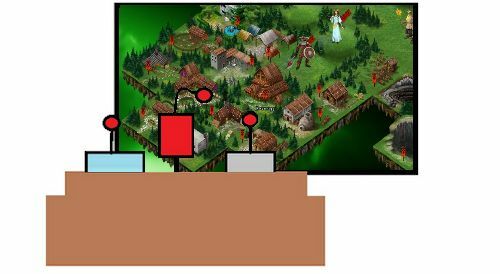 Nick Puleo (@NickPuleo) - "I have such an itch to get into some Strategy/RPGs -> Wesnoth on the tablet and Fallen Enchantress: Legendary Heroes and Skyward Collapse on PC. Hopefully I'll find some time to play them this weekend." Andrew Gaskill (@cubninja) - "I'll be playing the Fuse Echelon mode, Call of Juarez: Gunslinger, and my save-only build in Soul Sacrifice"
Mike Katsufrakis (@Pheriannath) - "The Incredible Adventures of Van Helsing, and I'm thinking of picking up Resident Evil: Revelations as well. " Marc Allie (@DjinniMan) - "I might check out the changes to Sanctum 2 in between all the busy times this weekend." Jason Love (@JLove55) - "Skyward Collapse for me as well, and continuing to progress to level 61 with my assassin in Borderlands 2"
Eric Murphy (@smurph_em)- "I'll be exploring the games available on OUYA and hopefully find a group for Monaco." Sam Tyler (@reelsamtyler) - "I'm still fighting my way through Star Trek, but will also be playing plenty of CastleStorm for review." Locke Vincent (@LockeVincent) - "It's time to go monster hunting with Van Helsing and then plug away at Soul Sacrifice. If I am feeling lucky, Skyward Collapse will be there to party." Tally Callahan - "Two different friends in town, so I'll be keeping busy. Maybe some board games together!" Chris Metz (@The_Lemko) - "Mainly Monaco and Bioshock Infinite for me, possibly Super Metroid too. Have a great Memorial Day, everyone!" DJ Waaland (@FusRoDJ)- "Well it sounds like I need to check out Skyward Collapse. Other than that I will be playing Van Helsing for review." John Bardinelli (@itsamejohn) - "I tried desperately to think of a smart pun relating to Skyward Collapse, but instead I'll be all pedestrian and say "I'm playing Skyward Collapse"
Page created in 0.7075 seconds.